Over the past several months, the Ontario Sustainable Energy Association (OSEA), has been active in hosting the P4P Gala Event held in Toronto in February, and was exploring possible avenues with various donors and institutions in the environmental sector. As you may know now, OSEA is moving in a fresh new direction to better serve our membership. The Board would like to thank both the former Chair of the Board, Mr. Peter Black, who departed soon after the Powering 4 Prosperity Gala, and Ms. Wilkinson, who volunteered as Interim Executive Director, for her passion to sustainability issues and our members. “Ontario Sustainable Energy Association (OSEA) advocates for its members and the public to provide education and promote sustainable energy initiatives through policy development, business collaboration, and public awareness campaigns”. As we progress to implement the above Mission Statement and Core Goals, we are launching a Survey shortly to gain your insights as mentioned earlier, in order to better serve the membership. We invite your input, and hope to have your expertise build a stronger more relevant OSEA for its collective members and society. The meeting was called to order at 9:32 am by the Chair, P. Black and quorum was declared present. a. The members present consented to this meeting being held by teleconference and to waive any notice requirements for this meeting. A. The Agenda be approved without changes (Document no 1). A. That the Accounting Firm BDO LLP located in Guelph, Ontario to be appointed as the 2017/2018 Auditor / Public Accountant of OSEA. B. That the 2015/2016 unaudited Financial Statements be received. (Document no 3). C. That the 2016/2017 unaudited Financial Statements be received. (Document no 4). D. That five (5) FIVE new board members be appointed as a member(s) of OSEA’s Board of Directors for a two-year term ending as of the close of the December 2019. E. That (6) SIX current board members are confirmed to continue in a volunteer position for another year ending December 2018. 5. The Chair asked if there were any questions or concerns that should be added into the minutes. The Chair acknowledged no questions. 6. New Board members present introduced themselves. The past two weeks OSEA has had the honour of sponsoring two amazing conferences in the renewable energy sector. First, we were present at the Scaling Up Conference in Ottawa where hundreds of delegates met to discuss emergence of the bioeconomy. Next, OSEA was a supporting partner at CanSIA’s Solar Canada Conference in Toronto on December 4th and 5th. Here, thousands of delegates met and discussed the latest trends in solar energy and the incredible opportunities afoot as we push towards 2020 and beyond. Scaling up 2017 was a 3-day event, from November 27th to November 29th in Ottawa, Ontario. This conference was held to discuss a variety of topics in the global bioeconomy market. Present at the conference was Honourable Jim Carr, Minister of Natural Resources Canada who delivered the keynote opening remarks. The conference included a series of sessions including: Getting to Mainstream: The future for the Global Bioeconomy, Showcasing Bio-Technology today, The Bio-circular Economy: Climate Targets, Global Supply Chains, and Way Beyond Paris and many others! Solar Canada is one of Canada’s largest solar energy events and is the brainchild of CanSIA. This two-day event took place in Toronto, Ontario where thousands of attendees—from solar energy professionals, stakeholders to advocates for this growing market—came together connect with other industry professionals. Solar Canada 2017 represented the entire solar industry from solar integration and development companies, to communities and students. We here at OSEA pride ourselves on being a part of the renewable sector and we were happy to support both of these ambitious conference’s. As we chart a bold course into 2018 and beyond, OSEA will continue to be present at industry events such as these; advocating, educating and promoting sustainable energy in Ontario and beyond. OSEA's 8th Annual Powering for Prosperity Awards! For more than sixteen years OSEA has been at the vanguard of the energy sector working with communities, businesses, institutions, and public and private sector organizations to champion its vision of a prosperous Ontario with thriving sustainable energy sector powered, heated, cooled and moved by portfolios of renewable energy, conservation, and energy efficiency technologies, creating good jobs, resilient communities, and healthy environments. It's time to celebrate! On Thursday, February 8th, 2018, we will turn the spotlight on the champions of our sector, and honour them during OSEA's 8th annual Powering for Prosperity Awards dinner at the Fontana Primavera Event Centre in Vaughan, Ontario. Great news! Nominations are paperless this year. Do you know of any individuals or organizations in the sustainable energy sector that deserve recognition and reward? Nominations are now open for the 2018 Powering Prosperity Awards. Please follow the links below and take advantage of our new paperless nomination process. Nominations will be open from today until December 22nd, 2018. Today, on October 26th, Ontario released the 2017 Long-Term Energy Plan(LTEP), Delivering Fairness and Choice—that focuses on energy, affordability, innovation and customer choice in Ontario. The purpose of the LTEP is to forecast and prepare for Ontario’s (bright) energy future! Since 2003, approximately $70 billion have been invested into Ontario’s electricity system. This investment played a key role in phasing-out coal generation in 2004 and has set Ontario up for a clean energy future. Fast-forward to 2016, 90% of all generation in Ontario was from non-emitting sources. One of Ontario’s long-term goals includes reducing greenhouse gas emissions to 37% below 1990 levels by 2030. Ontario’s Fair Hydro Plan, launched in July of this year, reduces the electricity bills of residential consumers by 25 percent on average and holds, to the rate of inflation, any increases in bills for four years. Delivering on the affordability and customer choice fronts, the 2017 LTEP confirms that electricity prices are expected to remain below those estimated by the 2013 LTEP. Additionally, the 2017 LTEP aims to expand Green Button to the entire province so that customers have an increased level of control regarding their energy conservation opportunities. Due to the shutdown and refurbishments of various nuclear-generating stations, a capacity shortfall is expected in early-mid 2020. This need for capacity will be addressed via IESO’s Market Renewal Initiative that aims to redesign Ontario’s energy markets. Ontario plans to rely less and less on long-term electricity contracts and hopes to move towards a market-based approach. The 2017 LTEP was possible thanks to the thousands of people across Ontario that were actively involved in the development stages of the LTEP. This includes over 500 stakeholders, hundreds on Ontarians, almost 100 Indigenous communities and organizations, as well as thousands of formal and informal submissions. The LTEP is committed to Delivering Fairness and Choice by making energy utilization, cleaner and more affordable in Ontario. OSEA is grateful for the opportunity to attend 2017-LTEP, Delivering Fairness and Choice, and looks forward to helping Ontario move towards a sustainable energy future! Biomass North Forum 2017 in Thunder Bay, Ontario! OSEA attended the long-awaited Biomass North Forum 2017—Opportunities for Challenging Times from October 11th -12th in Thunder Bay, Ontario. The forum, trending as #BNDC2017, explored the various challenges that the forest bioeconomy is presently facing and proactively discussed the diverse areas of opportunities that exist for its improvement. It was a highly-informative, well-organized event that included an expert keynote speaker, a variety of educational workshops, a trade exhibition, interactive tours, ample networking opportunity and a celebratory awards dinner ceremony. Some major issues presented by #BNDC2017 regarding the forest bioeconomy included the North American Free Trade Agreement (NAFTA), the softwood lumber dispute, economic development barriers in the North, Northern infrastructure challenges, adapting to climate change, and sector transformation. Their proposed opportunities for growth areas include but are not limited to, the Ring of Fire, FDI opportunities afforded by CETA, bioenergy projects and initiatives, partnerships between industry, municipalities and First Nations, Government support programs and technical and social innovations. The forum successfully addressed these challenges and opportunities from the diverse perspectives of sustainable trade, international perspectives and opportunities, programs and policies, solutions and success stories, Northern development, and cutting-edge research and innovation. Kai Mykkänen, Minister of Foreign Trade and Development, was one of the many exceptional speakers present, and delivered the keynote address. Based in Finland, he is responsible for dealing with matters regarding trade policy and development cooperation, and represented Finland at the Canada-Finland Bioeconomy Seminar on October 10th. Other notable experts include First Nations representatives, research professors, energy engineers, policy analysts, etc. #BNDC2017 also included highly-educational workshops on:Ontario’s regulations and guidelines for use of small wood-fired combustors, the Northern Ontario Bioeconomy Strategy, and the economics of carbon pricing. The first was hosted by MOECC and consisted of an open-discussion on various topics relating to the use of small wood-fired combustors including the Environmental Policy Act, air quality regulations, emission controls and combustion guidelines. The second was hosted by BNDC and discussed policy and regulatory barriers that interfere with sustainable bioenergy projects. It also defined strategic guidelines that will allow for the easy transition to abioeconomy and included demonstrations based upon sustainable supply, bioenergy & biofuels,biocomposities & biochemicals, and traditional medicines & foods. It also provided information on how to get involved with NO-BS working groups and how to become an industry partner. The third was hosted by Climate Fix and discussed key issues such as climate change, carbon pricing policies, carbon reportingtimelines and carbon inventorying. OSEA thoroughly enjoyed the educational, yet interactive aspect of the workshops presented at this year's forum. OSEA would like to congratulate the organizers of #BNDC2017 for a hosting a fantastic event, and we look forward to attending many more Biomass North Development Centre forums in the future! OSEA attended the Canada-Finland Bioeconomy Seminar on October 10th, 2017 in Toronto. 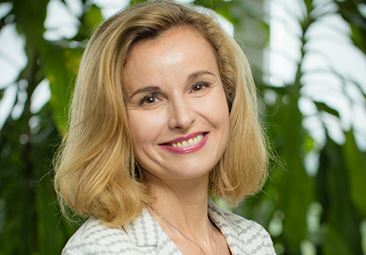 With over 50 years of expertise in bioeconomy growth and as one of the leading countries in the industry, Finland offers Canada a wide-range of expertise. Finland was represented by Kai Mykkänen, Minister of International Trade and Development, and his business delegation that consisted of a diverse group of experts from Finnish companies specializing in the bioeconomy and renewable energy sectors. The Comprehensive Economic Trade Agreement, signed in October of 2016, strives to deepen commercial relations between the European Union and Canada by increasing mutual trade, creating new business opportunities, and facilitating the exports of goods and services. It also aims to cut the trading costs of small-scale companies. Finland is a major player in this trade agreement and is a country with which Canada shares many core values – including a proactive attitude towards the implementation of a truly circular economy. 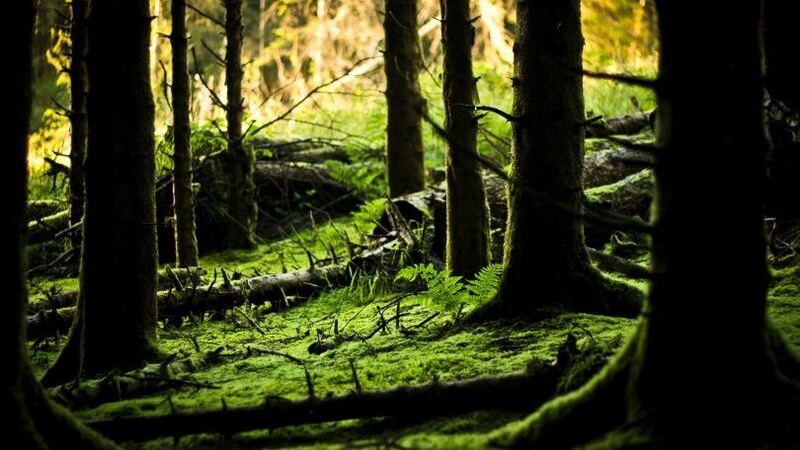 As 86% of its land area is covered in forest, Finland has become a leader in the use of wood-based biomass for energy production. 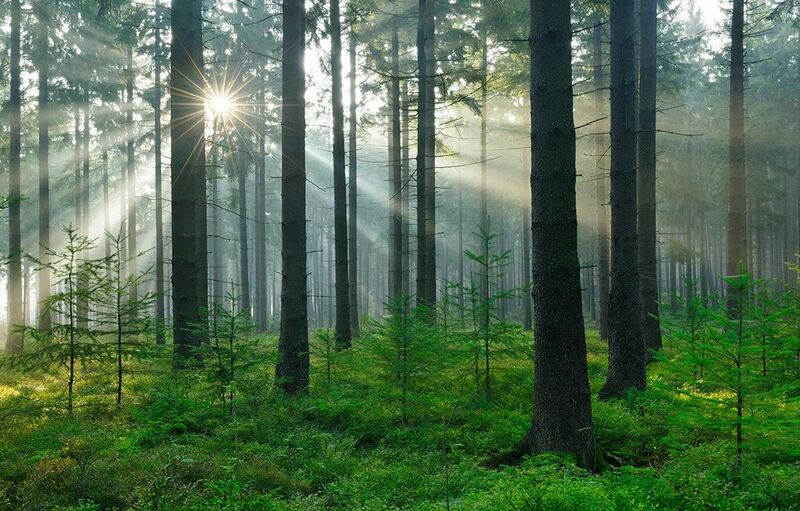 It successfully and sustainably uses 60 million cubic metres of forest by implementing smart forestry practices. Through the use of small-scale harvesters, chippers, biomass heating systems, and combined heat and power plants, Finland has greatly reduced their dependency on fossil fuels, and has subsequently increased their ecological, social, and economic growth. One major obstacle when implementing a circular economy is inefficient waste management. Finnish companies, however, are experts in minimizing their waste production, reusing and recycling raw materials, recovering energy, and disposing of waste. 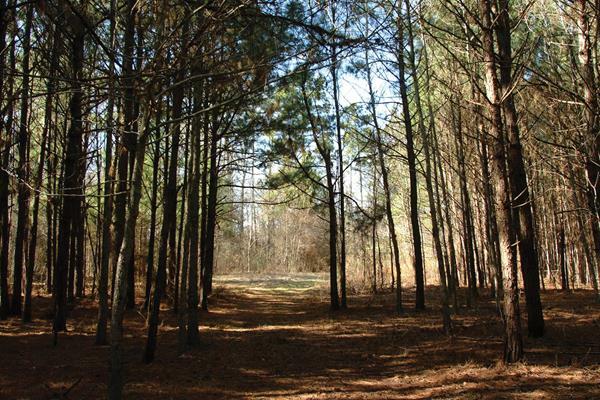 Additionally, they use waste products from side streams in the forestry industry for energy generation and feedstock. 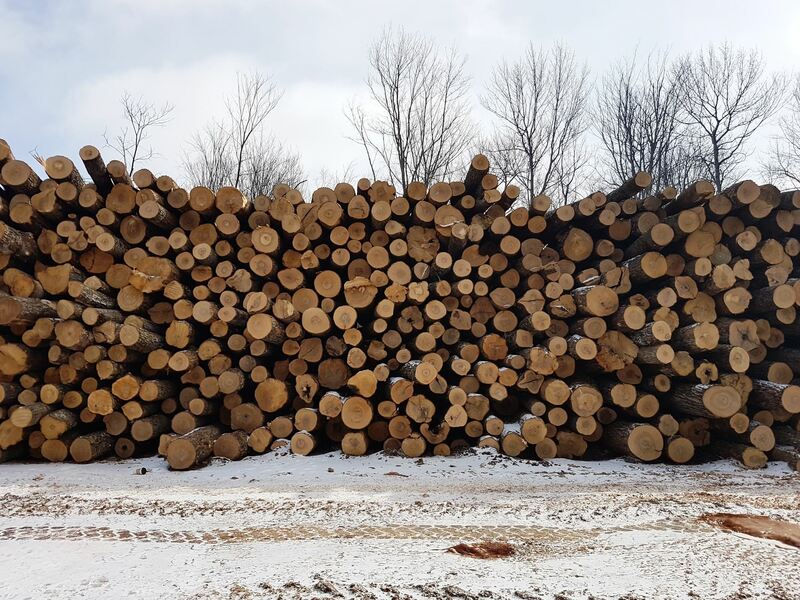 Earning titles such as forerunner in bioenergy and true innovator in waste-to-energy, OSEA believes that a lot can be learned from Finland’s sustainable forestry practices. With over 75 million hectares of forested land in Ontario, OSEA envisions an evergreen future for Ontario! Energy, particularly, electricity, continues to be a hot button issue and polls suggest that electricity rates are expected to be a major issue in the 2018 provincial election. On the heels of intense public pressure, it did not come as a surprise when the government announced its “Ontario Fair Hydro Plan” last week. Our energy sector is undergoing a fundamental transition. Is the "Fair Hydro Plan" the right solution? Let’s take a look at the good, the bad, and the nuances in between. First, the good. The plan seeks to transfer certain program costs to the tax-base. This structural change is beneficial as it addresses the responsibility that we have as a society to support those most vulnerable to high energy prices with limited means to adjust their consumption and costs. On the government’s plan to refinance the Global Adjustment, the benefits are less apparent. Didn’t we just remove the debt retirement charge from residential customers’ bills? Now we are adding more debt. Isn’t this Debt Retirement 2.0? The plan gives the illusion that we are paying less for our electricity, but in real dollars we will be paying more interest for the same amount of electricity. By extending the financing term, we are also tied to OPG’s existing energy portfolio, which means less capacity on the grid for renewables. Aren’t we repeating past mistakes by keeping up the illusion that energy is cheap? By doing so, we take away economic incentives for people to conserve and invest in energy efficiency. The transition to a clean, integrated, and decentralized energy system is inevitable. 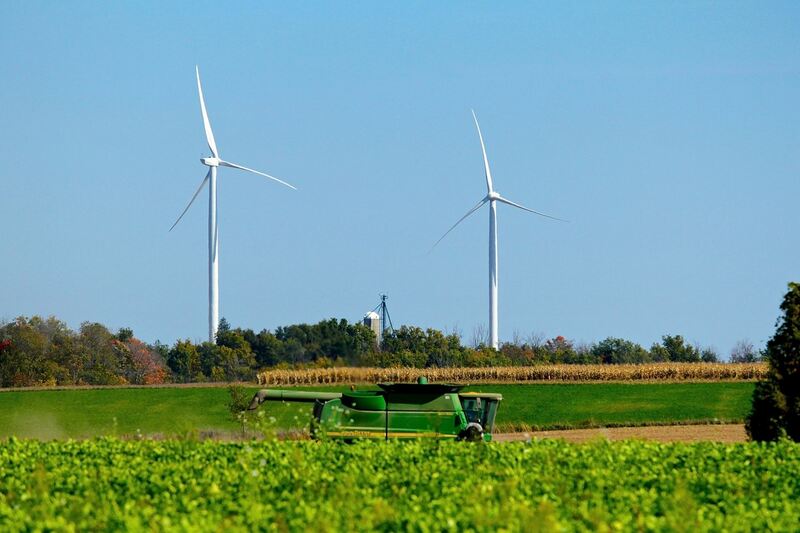 In Ontario and around the world, it is driven by individuals and communities who want to take ownership and participate in their own renewable energy projects, and fueled by innovations in technology and reduction in costs. As we are moving through this transition, renewable energy has been unfairly blamed for the rise in electricity rates. But as Jake Brooks from APPrO and several journalists referenced in a recent article point out, there are several factors that have caused electricity rates to soar. Rather than looking for simple explanations and easy scapegoats, Ontarians would be well-advised to ask themselves a couple of fundamental questions: what kind of society do I want live in? And, what legacy do I want to leave for my children and grandchildren? With that in mind, they should take a good and long-term look at the driving forces behind electricity rates, as well as trends in technology advancements and costs. The Fair Hydro Plan is a band-aid, short-term fix. At OSEA, we strongly believe that we need a boost in overall energy literacy to have an engaged public, able to work with local governments to find appropriate, local energy solutions that address climate change challenges and enable the introduction of a much more integrated and decentralized provincial grid. For what that can look like, see what is happening in Oxford County, Brant County, City of Guelph, City of Markham, City of Toronto, etc. Allowing for community participation and taking advantage of the opportunities to sustainably utilize local resources, creates good, quality jobs and resilient and economically vibrant communities. For further discussion on this topic, I invite you to participate in our online member discussion forum and to reply to our short member survey. Most people recognize energy conservation is an effective way to reduce building operating costs while improving occupant comfort and reducing the harmful greenhouse gas emissions that contribute to climate change. But according to the Canadian Energy Efficiency Alliance, a third of Canadians blame cost as the reason they don’t invest in high-efficiency equipment and smart building envelope solutions. Energy efficiency is often seen as an expense but it’s actually an opportunity to earn an impressive return on your investment, especially in the face of rising utility costs. Performance contracting is a smart way to take advantage of this opportunity and transfer your risk to the financing company managing your efficiency upgrade. Performance contracting is an innovative way to pay for comprehensive energy efficiency upgrades based on future utility savings, with no upfront investment required. Projects can be financed using a non-debt instrument that doesn’t affect your borrowing power so you still have access to that money for other priorities. According to the Toronto chapter of the Building Operators and Managers Association (BOMA), half of all retrofits on the market fail to achieve their targets, so it’s important to protect your investment. The best contracts include third-party insurance to guarantee the energy savings promised. They also include ongoing monitoring, measurement and verification so you can track the performance of your upgrade and the actual energy savings. Toronto Atmospheric Fund (TAF), a non-profit climate change agency, has been involved in reviewing and monitoring more than 2,000 energy efficiency projects. Based on this experience, the organization reports energy savings are between 10% and 50%, depending on the age of the building, existing equipment and on the depth of the energy conservation measures. If you don’t want to miss out on those savings, performance contracting can remove cost as a barrier. There are a few key technologies to be aware of though, including variable frequency drives or VFDs, which are also called variable speed drives. This technology dramatically improves the efficiency of motors used to power fans, pumps and compressors. By varying the frequency of these motors, VFDs control the amount of current supplied, which allows voltage to match demand, saving energy when less energy is needed. Building automation systems (BAS) are another important technology to consider. These systems allow facilities managers to monitor and control building functionality from a central location. A BAS can be programmed to shut off or power-down equipment automatically to promote energy conservation without compromising use requirements or occupant comfort. It can send alerts to facilities managers so equipment failures, leakage, or other anomalies can be identified and resolved quickly. The hard numbers a BAS provides on building performance can also be used as evidence to generate support for efficiency upgrades. Web-based building controls and monitoring can be added to a BAS, making it possible to track energy performance in real time. Advanced heat pump technology is re-emerging as one of the most energy efficient mechanical systems available. Depending on the type, heat source and operating conditions, heat pump systems can achieve efficiencies three to six times greater than conventional heating and cooling equipment. 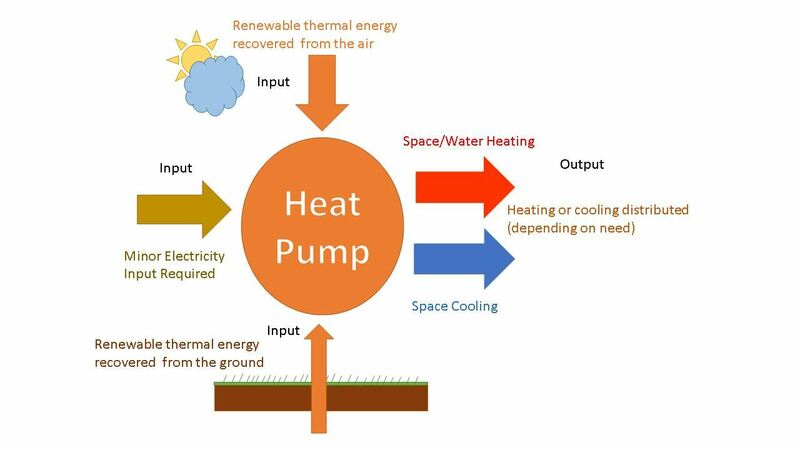 Ground source heat pump systems, also called geo-exchange, capture and release heat or cooling energy from below the ground’s surface while air source systems harvest this thermal energy from outdoor air. The renewable energy they harvest from air, soil or water provides space heating, domestic hot water heating and space cooling. The Ontario government’s plan to introduce energy and water reporting and benchmarking (EWRB) regulations for large buildings has created more urgency to act on efficiency opportunities. The new regulation is expected to be phased-in with more details available early in 2017. Energy and water performance will be publicly disclosed and ENERGY STAR Portfolio Manager software will be used to rank buildings against their peers. Property managers can use this information to prioritize investments and once building upgrades are complete, the improved performance will serve as evidence of green leadership. The most efficient buildings will be eligible for ENERGY STAR certification, proving they perform better than at least 75% of similar buildings. Research is already demonstrating the value of energy efficiency in the marketplace. A 2015 study by TD Economics and Minto showed condominium buyers are willing to pay significantly more for units with LEED (Leadership in Environmental and Energy Design) certification on resale. The average premium paid for LEED Silver is approximately 6%, with LEED Gold units selling for between 12% and 15% more than their conventional counterparts. Reflecting the importance of energy conservation, there are more points awarded for energy efficiency under LEED Certification for Existing Buildings than any other type of measure. Even in large financial institutions, investment managers frequently overlook opportunities to earn attractive returns upgrading the efficiency of their own buildings. Performance contracting is a de-risked opportunity to capture substantial utility savings with no upfront cost for a better performing building. When it comes to energy efficiency, green leadership just makes sense. Last week I had the opportunity to meet with leaders from the bioenergy sector at the Biomass North Development Centre’s AGM & Forum in North Bay. It was inspiring to be in a room with people who understand the importance of bioenergy in the transition to a 100% sustainable and low-carbon energy system. Our communities use up to 80% of their energy to heat spaces and water and only 20% for electricity. Yet, when talking about energy, we (our Ministry of Energy included), all too often, concern ourselves only with the electricity portion, ignoring the much larger need for energy for heating our homes and water. By doing so, we ignore a tremendous opportunity and something that could be considered – Canada’s competitive edge – namely heat and electricity from biogas and biomass, most efficiently utilized in a Combined Heat and Power application. For years, OSEA members have tried to stress the importance of seizing the opportunities and break down the silos between electricity and heating and cooling, to allow for the most efficient and effective integration of these technologies and processes. Communities who can realize these opportunities through community energy plans are well-positioned to being self-reliant in the face of climate change and to developing economic opportunities, allowing their neighborhoods to remain intact and be re-vitalized. OSEA members are supporting this development with two exciting initiatives. One is the Green Heat Working Group’s white paper on sustainable heat – a policy brief defining green heat and outlining the opportunities and barriers as well as providing an overview of best practices from other jurisdictions. The second initiative is the Combined Energy Options Ontario study – a research project lead by a consortium of academic and industry partners to develop a model and simulation for a 100% sustainable, low-carbon energy system that is build on portfolios of sustainable energy technologies for power, heating, cooling, and transportation. OSEA members feel strongly that this initiative is essential to evidence-based, sound, long-term energy planning, detached from political ideology and partisan interests. It is our desire that this model will soon be able to inform the government’s long-term energy planning efforts. An effort that is currently under way again with the development of the new Long-term Energy Plan that is scheduled to be released in the spring of 2017. I encourage you to get involved in the consultation by attending any of the government’s public consultation sessions (for details click here). • Any future Long Term Energy Plan should be based on publicly available, transparent, and full lifetime feasibility and cost analysis of the most sustainable technology options for all forms of energy, i.e. electrical, thermal and mobility. • Define clear, ambitious energy conservation and GHG emission reduction targets in the LTEP for all sectors and government agencies in line with Canada’s commitment to the Paris Agreement. • Improve stability and predictability of renewable energy procurement programs for all participants. • Design the regulatory process to support and simplify the economic participation of the communities hosting renewable energy projects. • Change building codes to include mandatory and ambitious energy efficiency standards for new buildings, commercial and residential. If you need additional support or guidance, please do not hesitate to contact me. I am also very excited to announce our upcoming Powering Prosperity Awards 2017. Once a year, we have a chance to recognize the champions in our sector who drive sustainability concepts and sustainable energy initiatives big and small. I hope you can join us on Thursday, February 2, 2017, for an evening of celebration and networking. And if you know anyone or any organization that deserves to be recognized, please note that we are receiving award nominations until November 21st, 2016. For more details visit www.poweringprosperity.ca. The month of November is busy with conferences, social events, public consultations, and meetings. I wish you a good month and look forward to seeing you around.